Ten years after Hurricane Katrina lashed New Orleans, a new study warns that future public health impacts of climate change in Gulf Coast states may be especially severe. The region – Texas, Louisiana, Mississippi, Alabama and Florida – is expected to experience extreme temperatures, sea level rise, and possibly more intense hurricanes, according to the study from Columbia University’s National Center for Disaster Preparedness, located at its Earth Institute, and the University of Washington. Without additional public health preventive measures, other extreme weather events and warmer temperatures could lead to even more deaths and injuries, an increase of mosquito-borne diseases such as dengue fever and malaria, and long-term physical and mental health problems, the authors noted. 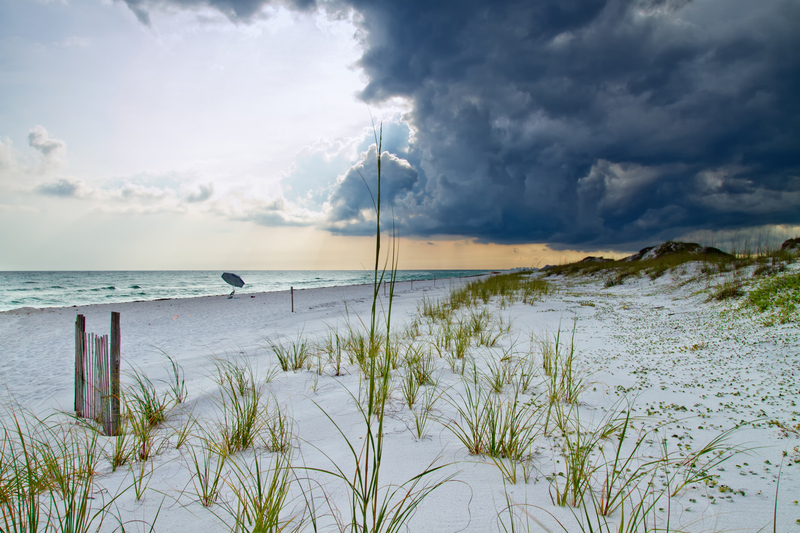 The Gulf Coast is already vulnerable to damaging storms. When Katrina slammed into the Coast on Aug. 29, 2005, the storm and its aftermath claiming more than 1,800 lives and caused more than $100 billion in damage. Record-setting wildfires in Washington state and other parts of the West this summer were fueled in part by hotter weather and longer dry spells. For the study, published in the International Journal of Environmental Research and Public Health, researchers led by Dr. Elisaveta Petkova of Columbia University reviewed previously published data on climate change. They noted that regional temperatures in the U.S. Southeast are projected to increase 4 to 8 degrees by the end of the century, while sea levels could rise 4 feet over the next 50 to 100 years and inundate 2,400 miles of major roads between Mobile and Houston. Already vulnerable communities could be disproportionately affected, they added. “Echoing an observation from the disaster research literature, the world’s poor and powerless are likely to suffer not just disproportionately from climate change, but fatally,” the study predicted. Researchers also noted that climate change could prompt substantial migration to and from the area. This could create, they said, “severe and lasting mental health effects on affected populations due to their place of attachment.” The Gulf Coast states are expected to reach a combined population of nearly 75 million by 2030, up from about 49 million in 2000. The researchers stressed the importance of investments in new and existing programs to address public health threats. Among their proposed various adaptation measures are developing programs that would provide air conditioning to low-income households and improving infrastructure to withstand rises in sea levels. The study identified vulnerabilities and pulled together different dimensions, Ebi said, “so people can be better prepared, better able to cope and can recover more quickly." See the related news release from The Earth Institute at Columbia University.